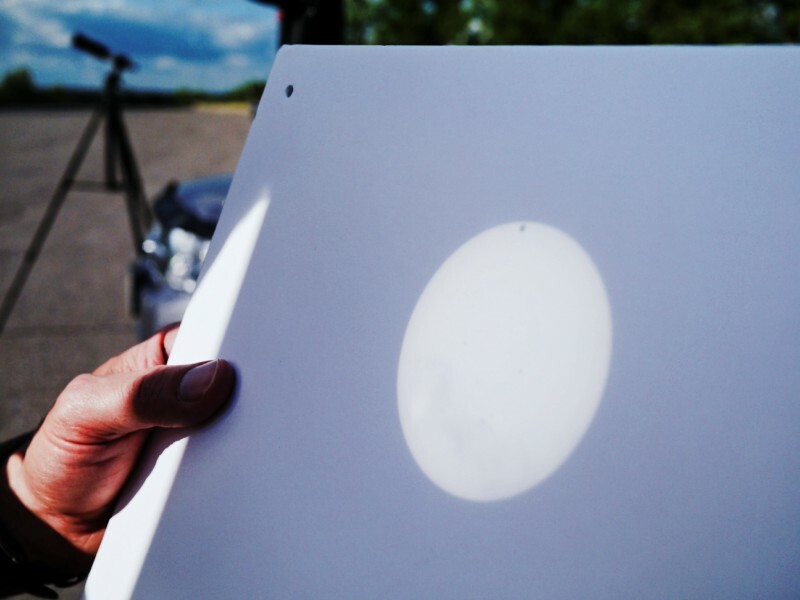 Viewing the transit of Venus using the projection method. The image on the left shows how it is done and the image on the right shows the results. The image is projected on the cardboard so you do not need eye protection to view the image. DO NOT look through the telescope. Click on each image to enlarge . 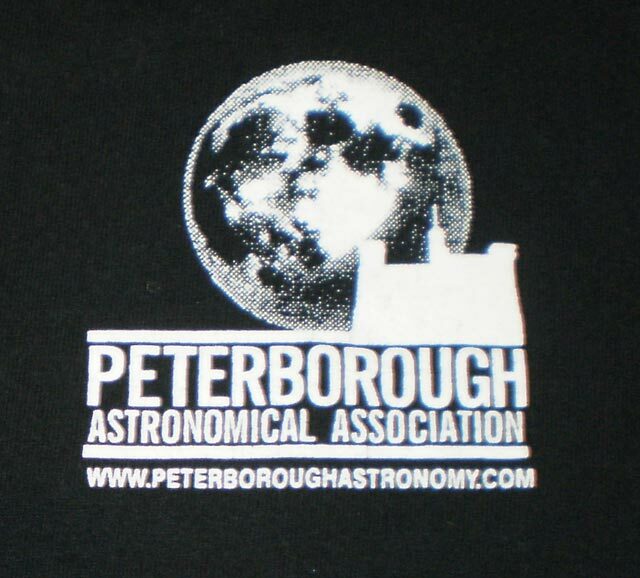 Welcome to the Peterborough Astronomical Association's (PAA) website. We are a group of people from Peterborough, Ontario and surrounding areas who have a love and appreciation of the space that surrounds us. We also have an interest and a passion for viewing and preserving the night sky. As well, we enjoy observing celestial events that occur during the day! All meetings are open to the public so drop by and see what we are about. The PAA meets the first Friday of each month at 7 P.M., except for July and August, in the Rotary Education Centre in the new Guest Services Building at the Riverview Park and Zoo. Check the Meeting Schedule on our website for more information. 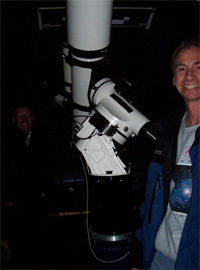 Throughout the year members enjoy informal talks from such notable figures as Professor David Patton, Canada's authority on galactic collisions, or Terence Dickinson, Canadian Author and Astronomer. Learn how to read a meteor with Dr. Graham Wilson or Sara Poirier of the Ontario Science Center and join award-winning journalist Peter McMahon as he treks across Canada in search of the ultimate wilderness stargazing locales. Also enjoy tales of Mars with Steve Dodson, one of the few Canadians to have an asteroid bear his name and much, much more! If you have an interest or are just curious about astronomy, you'll fit right in at one of our public observing sessions. 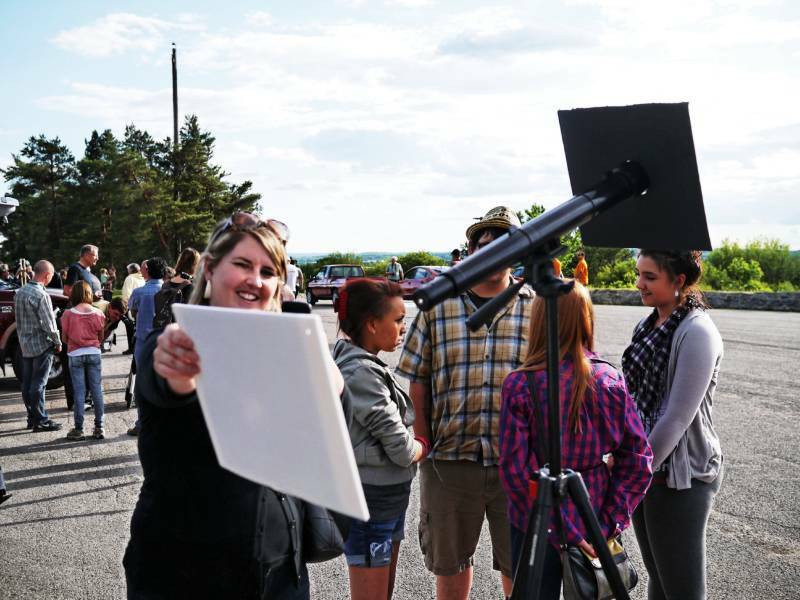 Each year we have telescopes set up on Armour Hill during Earth Hour in March to view celestial objects such as planets, the Moon, star clusters and nebulae. In May we have our annual “Astronomy on the Hill” event then in August the Perseid meteor shower pays its annual visit. All of these events are weather permitting and the objects visible change from season to season. For the dates of this year’s events please check our Special Events Schedule. There will be more details, as we get closer to each event. Both images are captured by a CCD camera. The left image was taken in IR light, invisible to our eyesight, but reveals much detail to the CCD camera which is sensitive to that wavelength. The right image approximates what the color view to the eye at the scope would see. 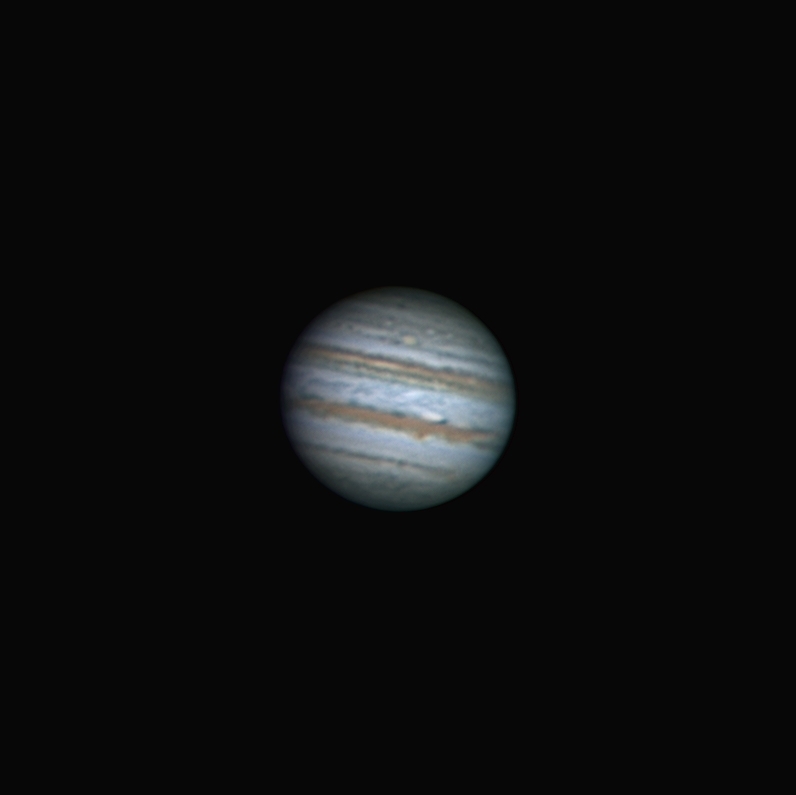 Every month an observing session is scheduled at one of our member’s observatories or dark sky locations. The monthly meetings are open to the public but the observing sessions are retricted to members only, one of the many benefits of membership. We have an extensive library of books and astronomy videos and DVD’s available to all members. The PAA has a number of loaner scopes that members are welcome to borrow. This is another advantage of being a member of the PAA. We also like to party. 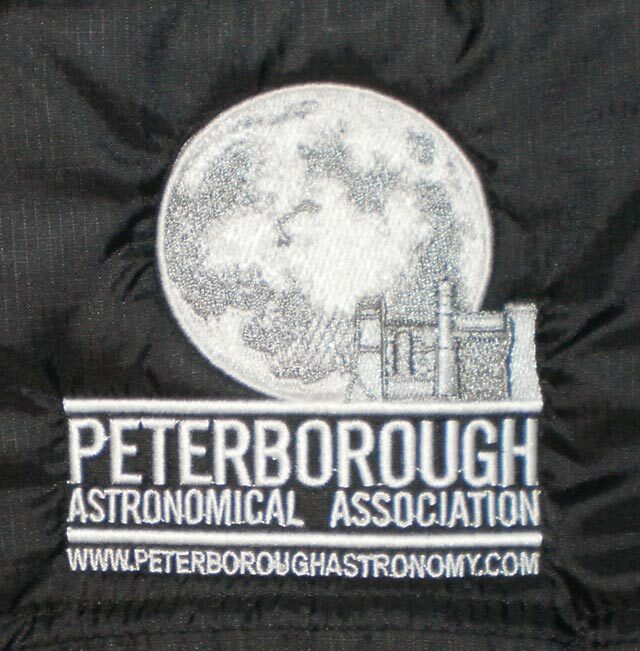 This coming fall, we may again join with the Kingston and Belleville RASC chapters at their Fall 'n Stars star party. We often have a members only Star-B-Q, more on that later. But the best way to get an idea of what we're all about is to attend one of our meetings. Check out our Meeting Schedule and if f you find a subject that sounds interesting, why not drop by. Everyone is welcome.